“[The album release concert] was the rocket launcher for the rest of 2015,” explained Jonay. Soon after Jonay released her debut album she headlined an album release concert at the Indiana Grand Racing & Casino in front of 500 guests. Since then she kept busy performing at local festivals all over Indiana. And has played roughly 100 shows in 2015 already. Jonay has always dreamed of playing at Klipsch Music Centre and submitted a press kit earlier this year. Shortly after, Ed Sheeran announced his United States tour, which included a stop at Klipsch. A month later, Jonay found out that she booked the Plaza Stage at Klipsch Music Centre before Sheeran’s concert. “I’m absolutely fan girling out of my mind… He inspired me to dream big,” Jonay confessed. 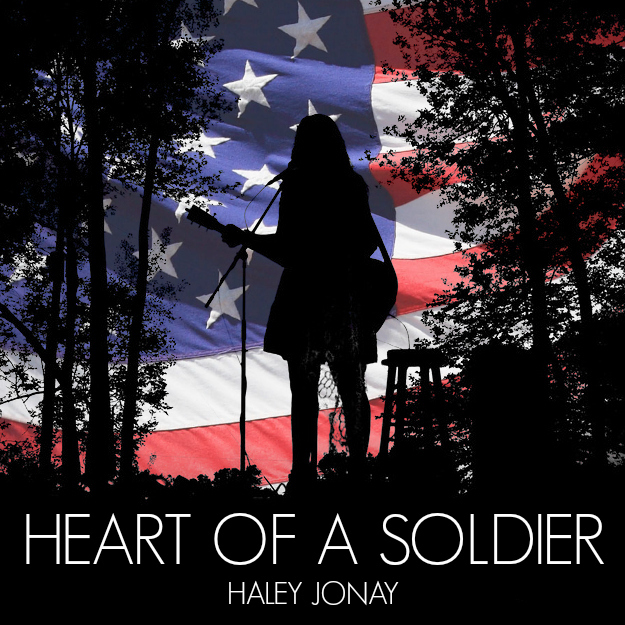 And between perfecting her set list and practicing multiple hours a day for her Klipsch debut, Jonay also just released her brand new single “Hearts of a Soldier.” Jonay found inspiration for the song through her partnership with Helping Hands for Freedom, which is an organization that supports military families of the deceased, injured and deployed. The single’s lyrics are devastatingly vivid while Jonay’s voice provides a sense of hope and reassurance. The track stays true to Jonay’s pop-country sound. The single is now available for purchase on iTunes and Amazon. Jonay also has performances lined up for the rest of the holiday weekend, which you can find on her website. Currently, Jonay is playing as many shows as she can book and working on her fall festival tour. Jonay also plans to begin working on her sophomore album later this year. Keep your ears open for this seventeen year-old singer-songwriter because her music journey is just beginning. “This year has just been one big dream come true and I’m just so grateful,” said Jonay.